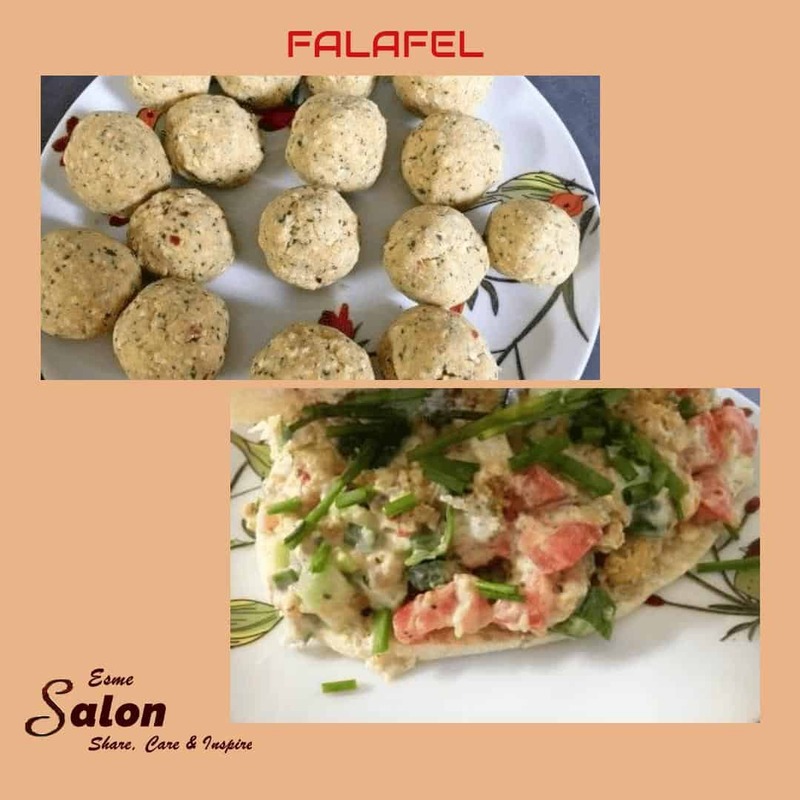 Falafel or is a deep-fried ball, doughnut or patty made from ground chickpeas, fava beans, or both. Falafel is a traditional Middle Eastern food, that most likely originated in Egypt. I opted to chop it into cubes, add chopped tomatoes, chopped cucumber, and chopped spring onions, mixed together with mayonnaise and fill the pita and to make it extra special, top with chopped chives. ½ tsp red chili flakes. Add all the ingredients, except the breadcrumbs to the bowl of your food processor. Pulse, until all the ingredients are well combined. Pour into a bowl, add the breadcrumbs and mix until well combined. Smooth and pat down into the bowl. Cling wrap and pop into the fridge for 2-3 hours. Using an ice cream scoop, create balls. Heat some oil in a pan add a couple of balls at a time and allow to fry until golden brown. Hope you will test this one and let me know what you think!